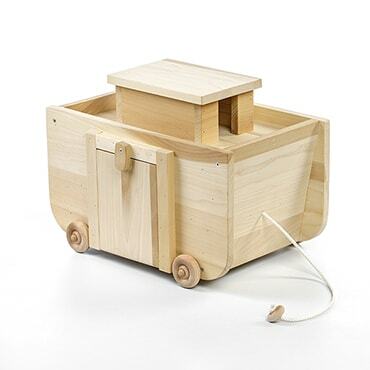 Handcrafted like the toys of yesteryear for lasting quality, our Noah's ark playset is sure to bring smiles to little ones. 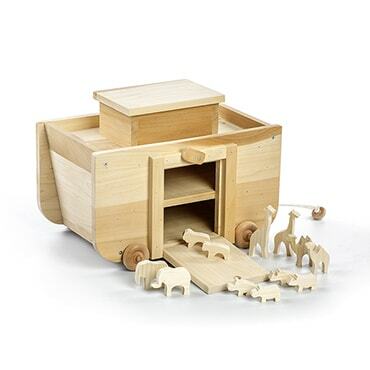 Just open the door to discover Noah's animals inside. Children can even take the ark with them as they move about with the pull-along rope. Choose Toys That Last with Eli & Mattie! Tired of flimsy plastic? So were we. That's why we created a toy collection that returns to time-proven craftsmanship and materials that are durable for your little ones. So well made, you can pass them down from child to child!